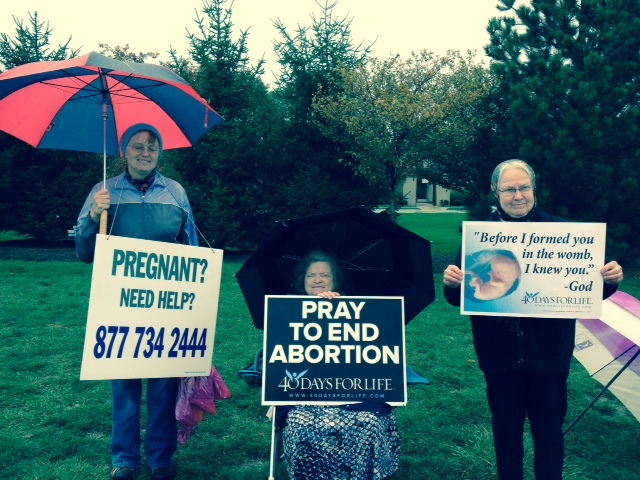 Four ladies from OCLife-Indy braved the rain and prayed at the Planned Parenthood clinic on Georgetown Rd last Saturday at 3 pm. It was well worth it! Glory be to God! The prayer vigil is ongoing until November 4th, so if you have some free time just swing by and join other volunteers on duty 8 am – 5 pm. It is a true blessing to be able to pray there and make a difference.